Ever since, we’ve been told to cover up when going out because the sunlight is notorious for causing skin cancer. 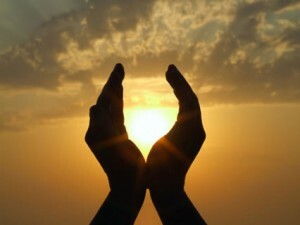 However, it seems that a bit of sunshine is beneficial not just to our body, but to the mood as well. Here are the reasons why you should also consider getting soaked into the warmth of the sun every once in a while. It’s an optimistic formula: you + sun = good times. There’s just something about sunny days that’s inspiring. The bright weather puts you in the good mood, kind of like when you hear your favourite jam playing on the radio. When the sun is up and bright, it feels like it’s easier to conquer life and make more happy moments. Unlike rainy season, there’s more time for doing outdoor activities during summer. This means more time to spend for having fun outside, exploring new places, and exercising and socializing, which eventually leads to sunnier physical and mental health profile. Ever heard of spring cleaning? How about going beyond the four walls of your house and take the cleaning all the way to your mind, body, and soul? Sunny seasons are the best times to clear some mental and physical space. Make more room for newer experiences and unleash a brighter and better you. Sunlight reduces levels of melatonin, the hormone that suppresses fertility, so it’s more likely for a woman to get pregnant in summer season. Other than making women more fertile, sunlight also increases the length of fertility and delays the arrival of menopause. On the other hand, it boosts the testosterone levels for men, making summer an even more appropriate time for baby making. Higher levels of serotonin in the body do not only make you feel good about yourself, but also suppresses your appetite, thus losing you more weight. So the next time you feel like binge-eating, go out, and walk your dog or just have fun under the sun. You’re not only shedding some pounds, you’ll also boost your levels of vitamin D.
If you like all these benefits, make sure to take care of your skin well. 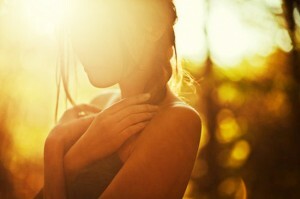 While sunlight offers a fair number of benefits overdoing it can burn the skin and increase the risk o skin cancer. So cover up and slather some SPF to enjoy all these sunlight goodness.